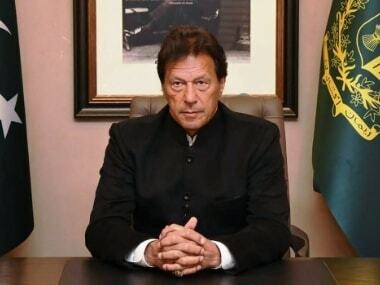 Asked if he had a solution to Kashmir if he ever became prime minister, Imran Khan said in 2011 that whatever the issues between India and Pakistan “it should not be enforced through militancy”. India, he said, could withdraw its army from Kashmir if it “has confidence that there is no militancy coming from Pakistan”. Six months after he became the prime minister of Pakistan in August 2018, Imran found himself at the centre of a storm. A suicide bombing carried out by a 19-year-old Kashmiri jihadist once again brought the two nuclear powered South Asian neighbours — that have fought three wars since 1947 for control of the Jammu and Kashmir — to the brink of war and a renewed international pressure on Pakistan to act against jihadist organisations operating freely on its soil. As tensions rose and both countries carried out airstrikes, Imran once again denounced what India says is Pakistan’s war by proxy. 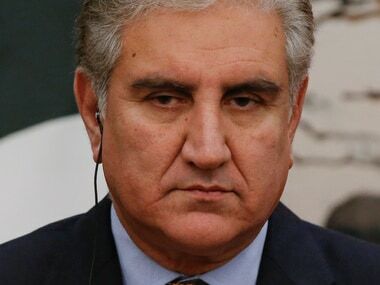 “It is not in the interest of Pakistan for its soil to be used for terrorism anywhere in the world,” he said in a televised address on 27 February, the day Pakistan attempted to carry out airstrikes on Indian territory. Imran said Pakistan was ready to have a “dialogue on terrorism”. Imran’s views have been consistent since 2011, when he called for putting Kashmir on the backburner till bilateral relations are improved. 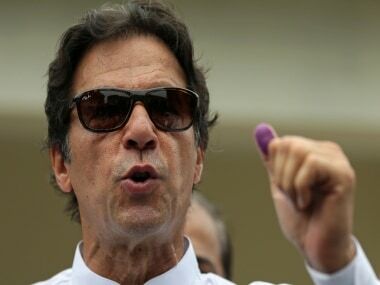 Since his victory, Imran has been on a mission to reform the image of a country struggling to revive its economy, besides improving relations with India. As both countries came together to open the Kartarpur Corridor, Pakistan announced that Kashmir was a core issue, no longer on the backburner. Even as the general elections got underway in India, Imran expressed optimism in a meeting with foreign journalists on 9 April at the prospect of dialogue should the Bharatiya Janata Party return to power in New Delhi. The last time the two countries engaged in dialogue was during the 2000s when Pakistan was under the military rule of General Pervez Musharraf while the BJP’s Atal Bihari Vajpayee-led National Democratic Alliance was in power in New Delhi. A “four-point formula” was discussed that, among other things, sought greater autonomy and free trade on both sides of the Line of Control. That formula stands as a possible solution even today as India refuses to redraw boundaries and Pakistan will not cede control of territory it seized in 1947. Pakistan’s clampdown on jihadist organisations would go a long way in bringing India to the dialogue table. By Imran's own admission, this was the first time Kashmir focussed jihadist groups faced a crackdown. Previously, the Musharraf administration’s clampdown in the wake of the 9/11 terror attacks in the United States affected groups operating from the country’s western border, neighbouring Afghanistan. Similarly, jihadist groups had been restrained, but not disbanded as the two countries engaged in dialogue over the future of Kashmir in the 2000s. Imran is, however, faced with an uphill task and stands on a sticky wicket. If the past is any indication, any call for cessation of hostilities on the ground in Kashmir would be met with resistance from within the separatist camp as traditional jihadist outfits are struggling to rein-in recruits from swaying from loyalty to Pakistan to pan-Islamist ideas rejecting all nationalism. 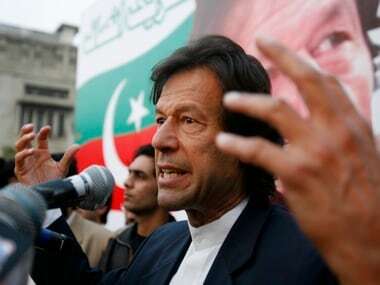 However, jihadist leaders in Pakistan had already begun expressing their resentment over the crackdown on jihadist outfits in the aftermath of the aerial strikes, that was eventually reflected in Imran's statement endorsing BJP for a possible Kashmir resolution. Masood Azhar, through his regular column under the pen name Saadi in the outfit’s weekly paper Al Qalam, not only dismissed India’s hardening of stance in the aftermath of the airstrikes on its madrassa in Balakot, but also criticised the Pakistani establishment in its 3 April issue. Syed Salahuddin, chief of the Hizbul Mujahideen and United Jihad Council, the jihadist group based in Pakistan-occupied Kashmir, also implored Pakistan to turn around its apologetic and “defensive plan of action” to supporting Kashmiris internationally with an “aggressive stance” in his 1 April statement. “God forbid if Pakistan fails to uphold its duty to the Kashmiri movement and comprises on the sacrifices of Kashmiris under international pressure, it will be a historical blunder and compromise Pakistan’s own national interests,” Salahuddin said. While presenting the February suicide attack as a locally planned and executed operation, Salahuddin, designated a global terrorist by the United States in July 2018, warned that “there can not be a crackdown, in the name of terrorism, on the supporters of Kashmiri cause” for secession from India that is “an internationally accepted legitimate movement”. The dialogue process in the the early 2000s caused a split within the Hizbul Mujahideen, still the largest jihadist group in Kashmir, and eventually led to the killing of most of its Kashmir-based leadership involved in the dialogue process. However, while Pakistan may be able to reign in the Jaish and United Jihad Council that are expressly pro-Pakistan, the emergence of jihadists espousing a pan-Islamism such as the supposedly Al-Qaeda affiliated Ansar Ghazwatul Hind, led by the reclusive Hizb rebel Zakir Musa, may be a hindrance in the future. Musa’s long silence after his initial scathing criticism of Pakistan and the Hurriyat led many in the Valley to believe rumours of his reconciliation with Pakistan-based jihadist outfits. However, on 7 April, Musa broke his silence at a time when Imran is pushing for dialogue without defining its contours. While the two main jihadist leaders made vague references to reasons behind the crackdown, Musa was also the only to explicitly mention a crackdown on jihadist outfits and preempted Pakistan's hopes of dialogue with India and a resolution for Kashmir as admitted by Khan to the foreign press just two days later. Criticising the 2003 ceasefire and dialogue process, Musa said that “when you stepped back from the jihad in Kashmir in 2003, you set this jihad back by 30 years”. “Under the tutelage of America, both India and Pakistan are conspiring together to not only weaken, but end the jihad entirely, so beware,” he said. The Pakistani Army and government, Musa said, were the “primary enemies” of jihad even as they claim to be the brains behind jihadi victories. Musa drew confidence from the jihadist movement in Afghanistan, calling the Afghan jihad as “torchbearers for us to follow”. Though the Ansar has largely remained dormant and lost most of its known recruits since its formation, any splits in the ranks of the traditional jihadists could potentially lead to defections from these outfits to the Ansar, or other groups. Previously, prominent Lashkar-e-Taiba commander Abu Dujana was among the first to defect to Ansar. After his death was acknowledged by Musa as one among the group’s founding members, no Lashkar commander reached such a level of prominence. In his final statement, Dujana also said Pakistan facilitated the killing of jihadists in Kashmir.